Timor-Leste’s independence from Indonesia in 2002 makes the country one of the world’s newest democracies. 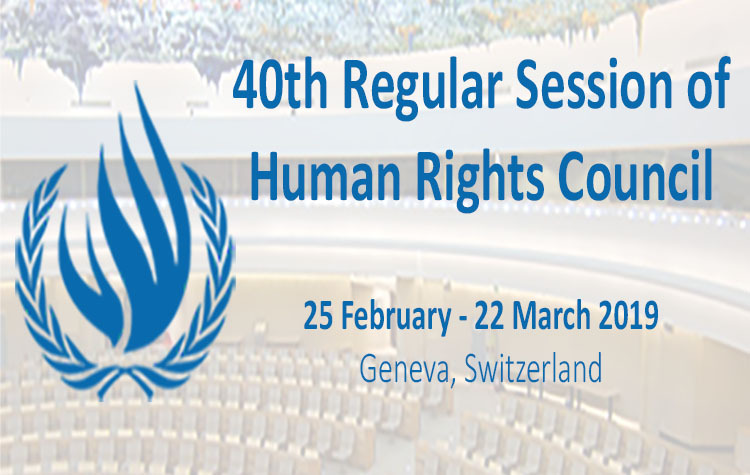 The country continues to face challenges regarding the promotion and protection of human rights, including the repression of socio-cultural and economic rights, civil and political rights, gender equality and women’s empowerment. The country also fails to ensure the safety of women human rights defenders and human rights defenders (W/HRDs). Contrary to the political environment prior to the 2017 elections, which was characterised by a political alliance between the two biggest political parties in the country – Revolutionary Front for an Independent East Timor (Fretilin) and the National Congress for Timorese Reconstruction (CNRT) – the 2017 Parliamentary Elections saw a disruption of this alliance. Fretilin, which won 23 seats in Parliament, formed a Minority Government with the Democratic Party (PD) with a total 30 seats, three short of an absolute majority. The CNRT, which became parliamentary opposition together with the People’s Liberation Party (PLP) and Kmanek Haburas Unidade Nasional Timor Oan (Khunto), formed a majority opposition coalition called the Parliamentary Majority Alliance (AMP). Since the establishment of the new Government in July 2017, the AMP has rejected the Government’s proposed programme twice. This situation has caused the President to dissolve the current Government and to call for new elections in May 2018, making it the second round of elections in ten months. In May 2017, FORUM-ASIA, together with its local members the Judicial System Monitoring Program (JSMP) and Association for Law, Human Rights and Justice (HAK), organised a workshop aimed at developing, formulating, and consolidating a human rights agenda among civil society in Timor-Leste. The objective of the workshop was to use this unified human rights agenda to engage with different political parties on their human rights-related policies. A dialogue session was held between civil society organisations and political parties with the aim of establishing better engagement with political actors in Timor-Leste in advancing an international and regional human rights agenda. Ahead of the new round of Parliamentary Elections that will be held on 12 May this year, the AMP decided to form a permanent coalition called the Alliance for Change and Progress, while Fretilin and the PD ran their own separate campaigns. Reflecting on the political situation, civil society organisations raised concerns over the potential impact of the new round of elections at different stages of the elections process, on human rights, fundamental freedoms, and the existence of civic space. With the aim to consolidate input and recommendations from civil society in Timor-Leste and raise awareness about relevant concerns to key stakeholders, FORUM-ASIA organised a follow up mission to Dili, Timor-Leste, on 30 April to 3 May 2018. 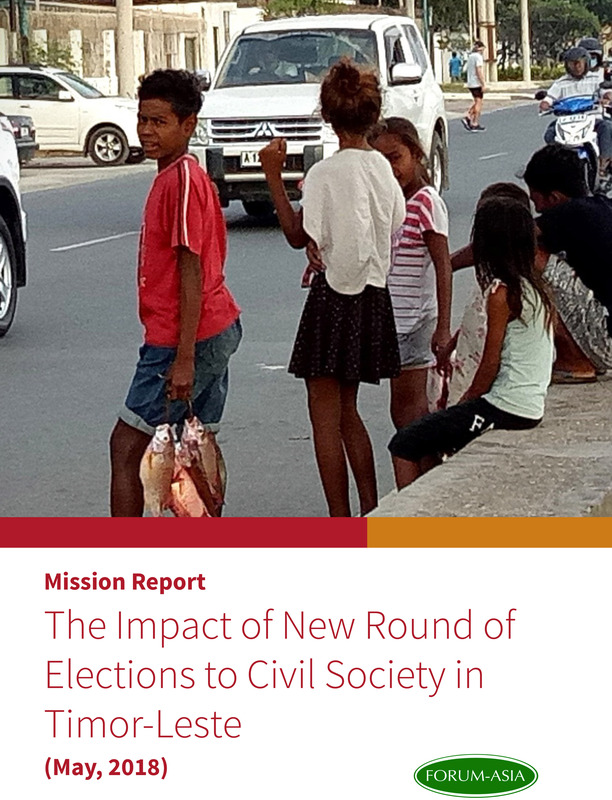 The following report gives an overview of Timor-Leste’s historical, political and social context, outlines the result of a mapping exercise of the threats, risks, and potential impacts that can result from the new round of elections and campaign processes, especially those related to fundamental freedoms and civic spaces. It also provides a list of recommendations to Timor-Leste’s political parties.